Students learn how to engineer efficient paper planes from a sheet of A4 paper. Students learn to consider aerodynamic concepts such as thrust, pitch, drag, ailerons and elevators. Our specialist paper plane coach has years of experience in the creation of paper planes to competition standard. 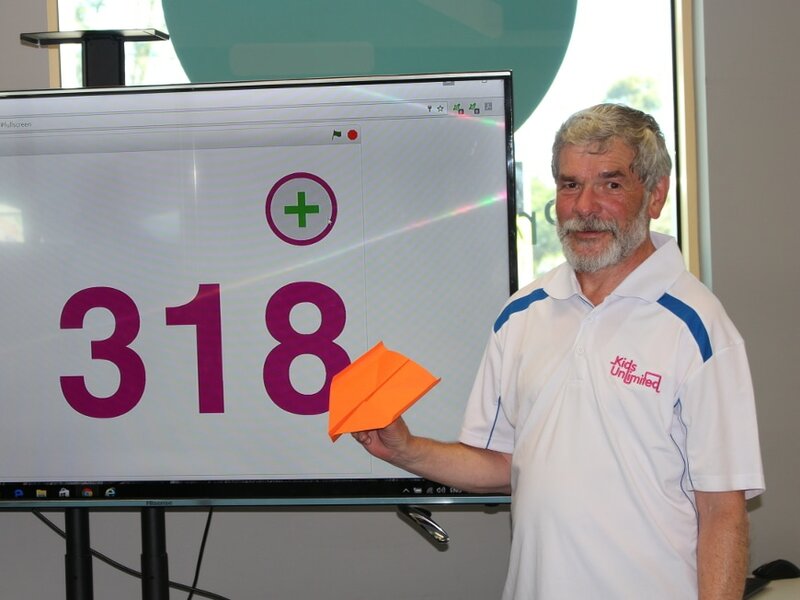 Our very own Kids Unlimited coach Greg, beat the Guinness World Records for most catches of a boomerang style paper plane around a pole on Friday, 27th January 2017! The current record holder threw and caught their plane 75 times, Greg threw and caught his 318 times before it accidentally hit the pole and fell to the ground.